Mycoplasma contamination is a bacterial infection of cell cultures in laboratories. These bacteria are difficult to detect and can easily spread from one culture to another once within a laboratory. 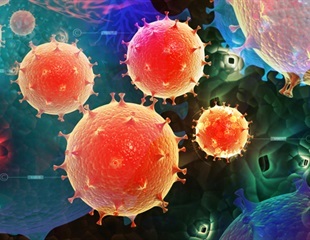 The Institute of Human Virology at the University of Maryland School of Medicine announced today the discovery that DnaK, a protein of the bacterium mycoplasma, interferes with the mycoplasma-infected cell's ability to respond to and repair DNA damage, a known origin of cancer. A study recently published in Scientific Reports discovered that 65% of Lyme disease patients irrespective of their disease stage respond to several microbes. New research reveals that Mycoplasma pathogens make DNA in a unique way that may protect them from our immune response. The result could provide new avenues to combat the pathogens that utilize this strategy. SpeeDx has announced a distribution agreement with Serosep Ltd, a leading manufacturer and distributor of laboratory diagnostic solutions. This will strengthen sales channels in the UK and Ireland, ensuring greater access to SpeeDx’s multiplexed PlexPCR and ResistancePlus molecular diagnostic tests across the region. HSC-BANKER from AMSBIO is a new optimised GMP grade cryopreservation medium for the banking of hematopoietic stem cells isolated from umbilical cord blood, peripheral blood and bone marrow. When a gene is switched on, various stretches of DNA nearby act as 'control dials', influencing the level of activity and the amount of gene product that is made. The way in which heart and lung transplant recipients acquired a specific species of bacteria, Mycoplasma hominis, had been previously undefined, and the bacterium was difficult to test. AMSBIO has introduced a new range of cancer cell line models and culture media for the most difficult to culture tumor types where no models may exist. Guillain-Barré syndrome (GBS) is an acute life-threatening disease of the nervous system that leads to sensory disturbances and acute flaccid paralysis. Researchers from Valencia and the Basque Country have developed a new method to detect cocaine and mycoplasma at very low concentrations. A research team from the University of Oklahoma Health Sciences Center, led by Madeleine Cunningham, Ph.D., in conjunction with the National Institute of Mental Health, has developed the first-of-its-kind biomarker test to help detect autoimmune-induced neuropsychiatric disorders. For the first time in the world, a group of researchers discovered a human immune receptor, which detects the invasion of pathogenic microorganisms.